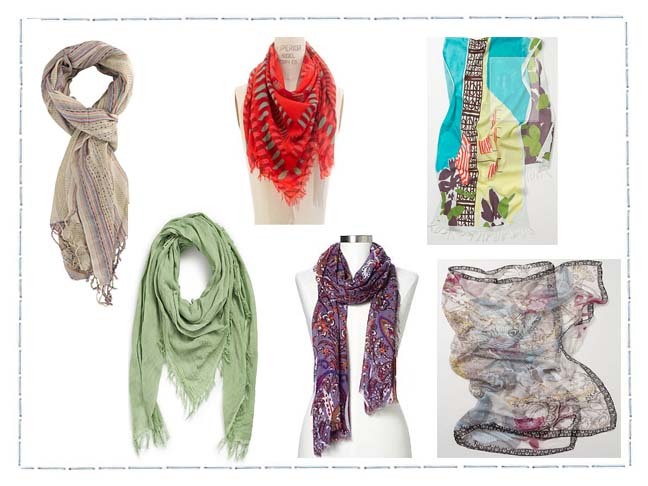 Scarves are the perfect accessory to help freshen up almost any wardrobe, but oftentimes they can be really pricey. 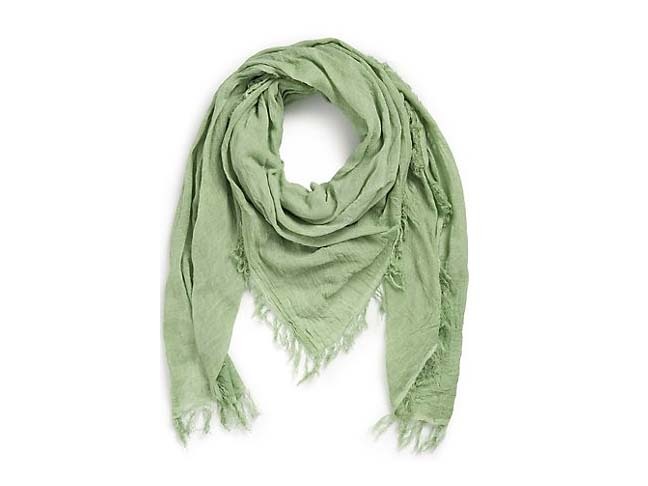 I don’t know about you, but so many times when I find a scarf that I think is really great, it’s price tag just seems crazy to me. So having experienced scarf sticker shock far too many times, I made it my personal quest to find a few scarves that look great, but are affordable too. What first drew me to this Striped Metallic Scarf was it’s handmade look, paired against the contrast of delicate metallic threads. It’s soft color palette will coordinate easily with most any wardrobe and you won’t believe it’s price! This one’s called Namaike and it reminds me of soft ocean seafoam. It’s made of a very breathable cotton and is so featherweight, you may even forget you are wearing it. 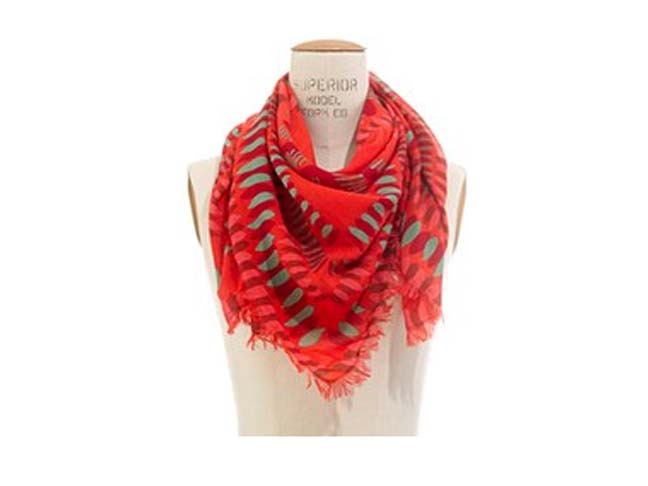 And for those days when you’re feeling a little bolder about color or as Fall approaches and you want to begin to mix in some deeper autumn color tones, the graphic patterns of this Dropleaf Scarf will be just perfect for you. 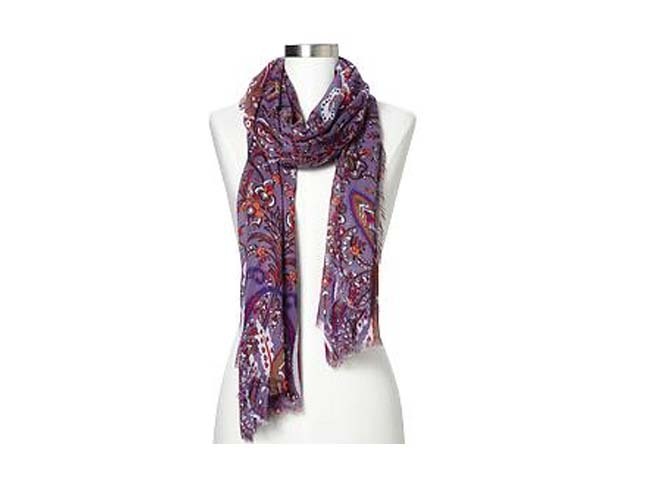 If you’re a fan of purple, this paisley patterned scarf is sure to become one of your favorites. 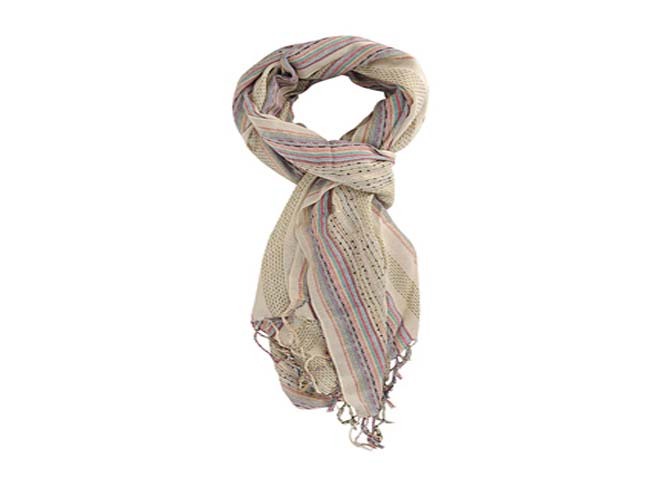 It ‘s made of 100% viscose rayon, so it will easily carry you through all the seasons of the year. 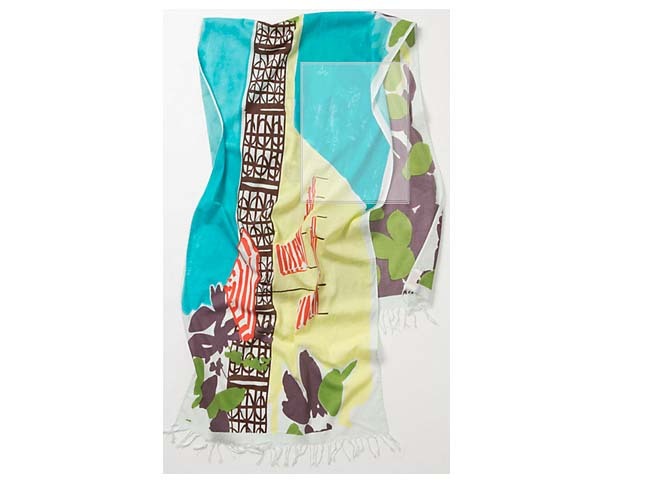 The retro design and colors of this Sunshower Wrap Scarf will beckon you back to the 1960’s. It’s made of a lightweight cotton that is perfect at the beach or draped classicaly against a white linen sheath dress and carried over into evening. 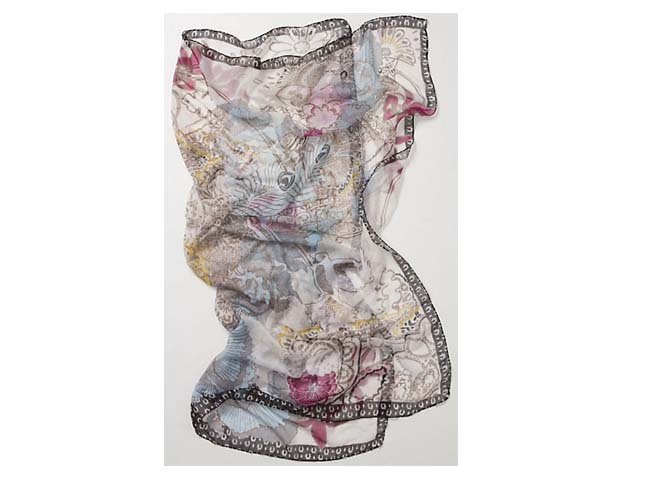 The billowy translucency of this Avian Intimations Scarf are what give it’s bird-themed pattern such a dreamlike quality.